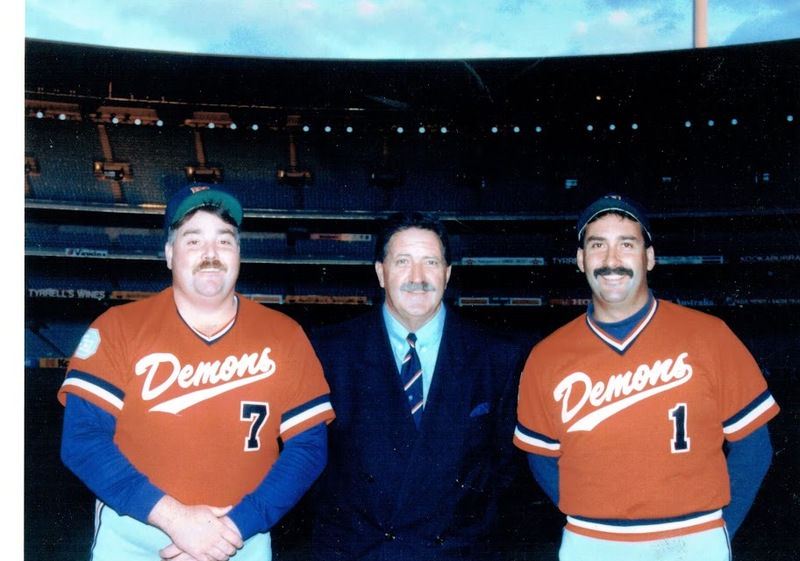 The involvement of the Arthur family with the MCC Baseball Section began in 1974 when Ross was recruited by Arch Cavanagh and Club Coach David Went from a Diamond Valley premiership side coached by Les Arthur. From that time onwards the contribution by the Arthur family will perhaps never be surpassed. When Ross was recruited in 1974, the section gained an added bonus in that with his parents Les and Merle, also came his brother Gary. Before coming to Melbourne, Les had a very successful career as a Senior coach in the Diamond Valley Association. In 1982 / 83 Melbourne formed their first autonomous Junior section and Les became the first Junior Chairman in the Club’s history. The following year, Les coached his first junior side, Under 15, at Melbourne. This entry into junior coaching at Melbourne saw Les become the most successful coach of juniors in the Club’s history, coaching premiership sides in four consecutive seasons 1984 / 85 Under 15, 1985 / 86 Under 15 and 1986 / 87 the Under 17 side coached by Les became the first junior side in the Club’s history to win the State Championship in any group. In season 1987 / 88 Les coached the Club’s 2nds to a Division 2 premiership. As a natural progression, Les joined the senior committee of the club and in our centenary year of 1988 / 89 was Club Chairman and therefore heavily involved in organising the many outstanding functions the club had in that season. The most memorable of which was the centenary dinner held in the long room at the MCG. Les retired as Chairman in 1992 / 93. During his time as chairman the club boasted over 30 Company sponsors within its ranks. 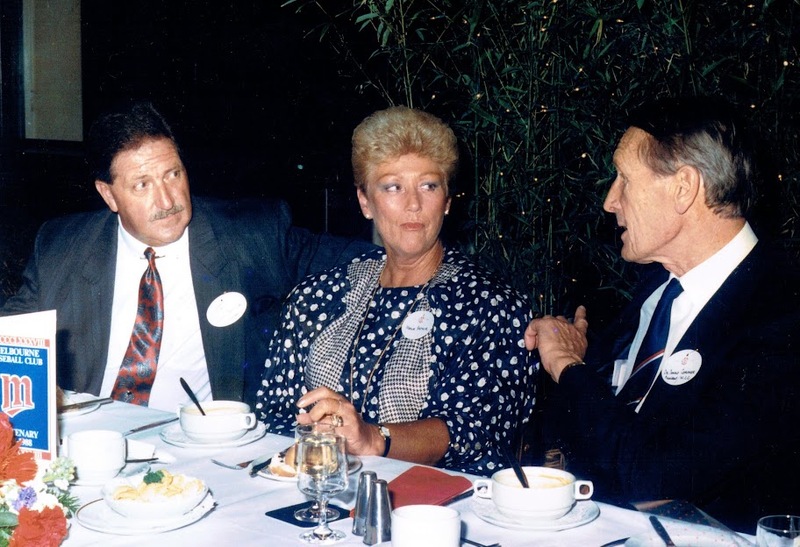 However, perhaps the most memorable function that Les assisted in was in 1986 when he met “Hall Of Fame” legend Stan Musial of the St Louis Cardinals and helped run the dinner in Stan’s honour at the MCG. Like sons Ross and Gary, Les has been actively involved with our Masters team since its inception. Became involved with the club from the time Ross joined. From the outset Merle was involved with the canteen, scoring and many other activities around the club. Merle retired from scoring in the Mid nineties, but she returned to scoring duties for the Masters and has been their scorer since the team’s inception. Prior to joining Melbourne, Ross had already represented Victoria at Under 15 level (twice) and Under 17, making All Australian in 1972. In 1974 Ross played his first game for Melbourne and from that time onwards was a regular player in the firsts to such an extent that in 1990 he became the first player in the club’s history to play 400 senior games. Throughout his career at Melbourne, Ross was consistently in the best players each season and won the club’s MVP in years 1978, 1979, 1983, 1984 and 1987. In season 1979 / 80, Ross won the VBA Division 1, Most Valuable Player award, and in seasons 1980 and 1982 was the VBA Division 1, “Home Run King”. Ross also won the VBA Division 1, RBI award in seasons 1979 and 1980. With the above performances it is no surprise that Ross played many games for Victoria at Claxton Shield level. Ross retired from both playing and coaching in 1991 but was asked to return in 1993 to help the Club at senior level. In his return year Ross batted .388 for the season and .667 in the finals. Ross had a lifetime batting average at Melbourne (firsts) of .367. When Melbourne fielded its first ever Masters team in 1999, Ross was one of the first players to join. In seasons 2004 / 5 and 2005 / 6, Ross returned to a coaching role with the club, coaching the Under 18’s when his son James reached Under 18 age group. Ross successfully coached this team for two seasons. Like most younger brothers, Gary followed his older brother Ross and began playing with the Club at Under 15 level in 1974. Playing at all levels with the juniors, progressing into the seniors and eventually into the firsts in 1985. In the club’s Division 2 premiership year of 1987 / 88, he tied for the MVP award, having an outstanding year in which he batted .425 with 8 home runs and 36 RBI’s from 25 games. Throughout his career with Melbourne a “trade mark” of Gary’s game was not only the number of home runs hit, but they distance they travelled. Perhaps the most memorable being the home run against Doncaster that cleared the pavilion at Macleay Park. Gary retired as a player in 1994, but was talked out of retirement when the club entered a Masters Team in 1999 and was a member of the premiership team in 2003. Throughout his time as a senior player, Gary has assisted in coaching junior teams at various levels and was a member of the club’s first Junior Committee and later was a member of the Senior committee for many years. In the years as a Senior player, when not coaching juniors sides, Gary was in constant demand to umpire Junior games on a Sunday. Gary was so respected as an umpire by both Melbourne and opposition clubs that in one year he was requested by both the VBA Junior League and our opposition to be Plate Umpire in finals. When Gary’s son Tomas was old enough to play baseball, Gary returned to a junior coaching role and has been assisting coaches in the junior areas where Tomas has been involved. Les, Merle, Ross and Gary are all Life Members of the club. The tradition of baseball with the Melbourne Baseball Club continues with Merle and Les as they now follow the progress of grandsons, James (father Ross) and Tomas (father Gary). A third generation of the Arthur family at Melbourne. The boys, who both played approx. 100 junior games continued to keep the Arthur name evident at Melbourne in the senior ranks.